Enjoy the sun, sea and sand, with Sixt taking care of all your rental car concerns. After stepping off your flight, a member of our friendly team will be ready to greet you at the Sixt desk located in the Arrivals Hall. Our staff are on hand all day Monday to Sunday, including public holidays, at Mallorca Airport. Not only this but we operate a 24 hour dropoff service so that you can drop your vehicle off at whatever time suits you. The Sixt car hire branch is located conveniently by the luggage belts so you can get from terminal to the road in no time. 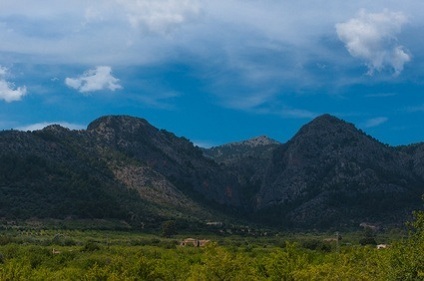 Majorca, or Mallorca in Spanish, is the largest of the Spanish Balearic Islands archipelago and the island capital%u2019s Palma de Mallorca is also the capital of the Balearics. Palma is a stunning ancient city with a diverse heritage apparent in its architecture and streets. The magnificent cathedral La Seu, built on the site of a mosque, and the nearby Old Town with its maze of streets and the Banys Àrabs (Arab Baths) are fascinating places to uncover in Palma de Mallorca. Most visitors are immediately drawn to the beautiful beaches that are spread across the hundreds of miles of coastline of Majorca. Car hire is a popular way to escape the crowds and travel further along the coastline to find smaller beaches, or even dart across the island and discover sights hidden away from the main flock of tourists. The Majorca Airport is the third busiest airport in the whole of Spain and serves around 20 million passengers each year. With inbound and outbound flights from around the world, Palma de Mallorca Airport is truly a global travel hub. Located just over 6 miles east of the Majorca, it is quick and simple to head into the city centre with a drive of just 10 minutes, or to access popular beach resorts such Santa Ponsa, Alcudia or Porto Cristo.